Get AR thrills from a flat surface. When Disney and Lenovo teamed up to create Star Wars: Jedi Challenges, it was a significant step in bringing augmented reality (AR) gaming to the masses. The headset was modestly-priced, and the game, a Star Wars-themed version of chess, was accessible to everyone. Now, in a bid to push the technology – and the movie franchise – further still, Disney is now leveraging ARKit to bring the game to iOS 11 devices. 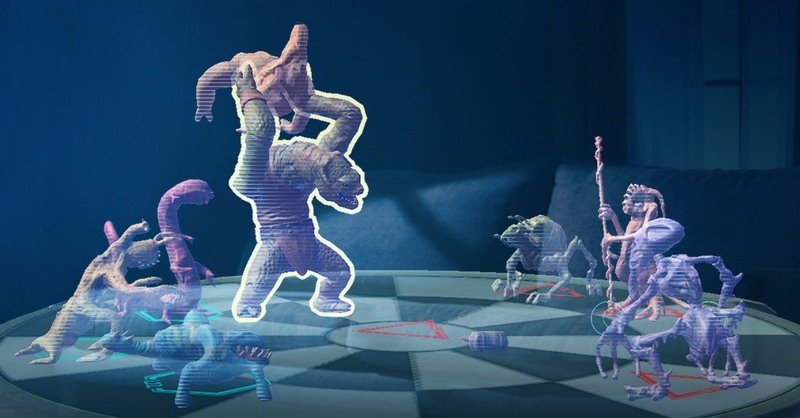 This means you'll be able to play iconic holochess on any flat surface – phone or tablet – and still enjoy the holographic visual trickery that wowed audiences of the original movie back in 1977. The update comes with the Star Wars: Jedi Challenges app in version 1.3, and includes 18 levels spread across six planets, plus eight unlockable creatures. It's available from the app store now.